Calamari, what's not to love about them? They taste totally amazing, are great fun to catch and are a viable catch year-round. Looking back over a decade, calamari were barely spoken about as a targetable species. Sure, the odd report might have appeared here and there but certainly nothing like today. 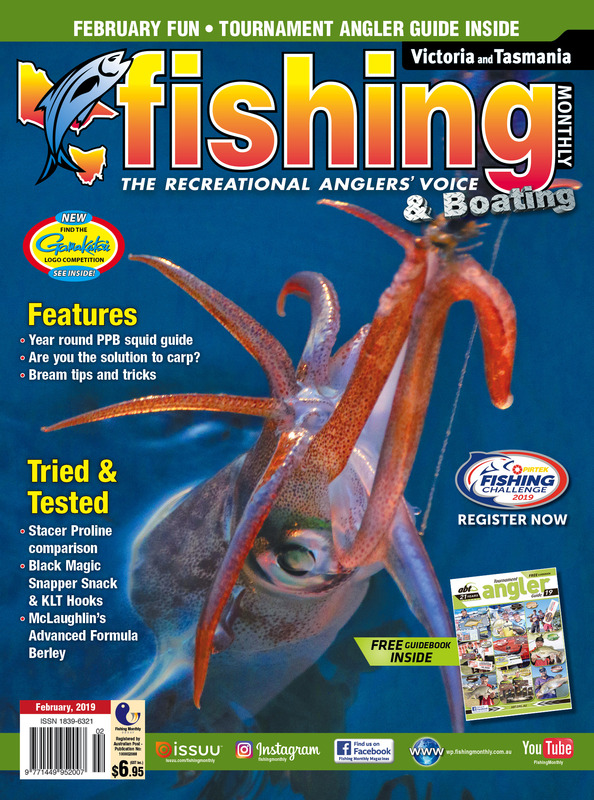 I guess with the introduction of more specialised rods, reels and tackle along with a Japanese influence pushing fishing for calamari as a household technique, there has been a drive for anglers to target them week in and week out. Over the years, much research has gone into calamari and their life cycle. I recently spoke with Victorian Fisheries Authority research scientist, Corey Green, who has put in a lot of time studying southern calamari in Port Phillip Bay. The main purpose was to find out a little more about southern calamari as well as see the differences between his factual results against my knowledge having targeted them over the past few decades. Calamari live for less than a year and along with the fact they are relatively easy to catch, it is no wonder why anglers are drawn to targeting them on a regular basis. If you target calamari enough throughout the year, then you'll work out a trend. After a few years, you'll notice that the same trends tend to be consistent. Despite the onset of the almost arctic conditions throughout the winter period, many anglers choose the warmth of the land to that out on the water. This is an unfortunate fact and if only they knew that calamari at this time of year tend to be in huge numbers and of quite respectable size; they would all be out on the water. Although just the word 'winter' leads to thoughts of blistering cold conditions, torrential rain and cyclonic type winds, it's really not the case. In fact, I personally spend more time fishing for calamari throughout winter than what I do the rest of the year. Why? Because of the sheer numbers of calamari that are about and their size on average is still worthy of targeting compared with those in late summer and august. Obviously throughout winter you'll pick the days you want to fish, and these tend to be those that are calm or when the winds are low. This is for good reason because fishing for calamari is best when you're drifting. Drifting allows you to cover ground and with calamari, they do tend to inhabit specific weed beds. A drift speed too fast, and it's hard to get the jigs to the bottom, while if there is no wind, you don't get to cover the amount of ground required to locate a patch of calamari. However, when you do drift at a moderate speed, you'll quickly run over a patch and tend to catch quite a few rather than just the odd one here or there. Then, after working that area, you can motor back up to the beginning of your original drift line and repeat the drift over the same area. Throughout the months, I tend to favour locations in Port Phillip Bay such as Rosebud, Mt Martha, St Leonards, the weed beds from the Hovell Pile to the Pinnace Channel and Mornington. Because the size of the calamari are bigger, I tend to increase my jig size to size 3.0 to encourage the larger models to hit the jig. If you are fishing in depths of 8m or deeper, you might want to opt for using a 3.5 sized jig to be able to reach the bottom given your drifting speed.